Over a thousand years of craftsmanship have inspired the final form of Kamikoto 神箏 knives. 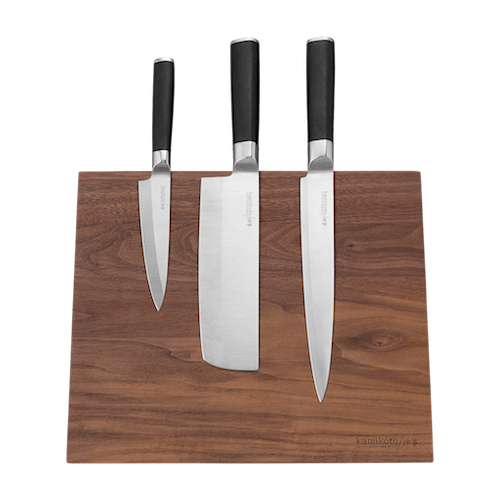 Meticulously handcrafted and rigorously quality tested, each blade features high-quality steel from Honshu 本州, Japan – a steel with high corrosion resistance and durability. 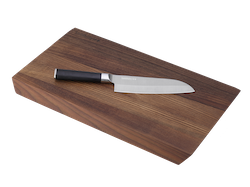 A workhorse with a shorter blade, the Kamikoto 5-inch Utility Knife ultimately lends itself to slicing, peeling, shucking and pitting when you need the extra maneuverability. 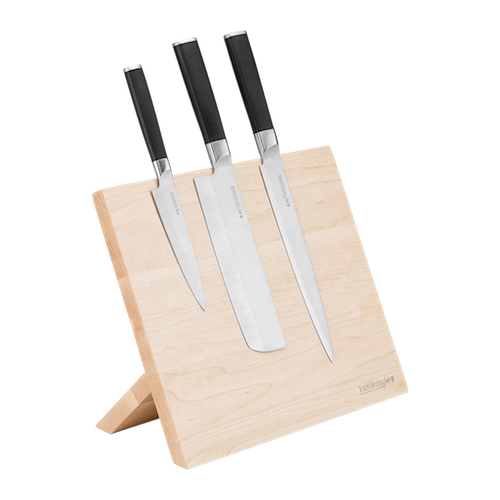 Well-balanced with some heft, swap to this blade for separating meat from bone when butchering or when gutting fish and other seafood for the barbecue. 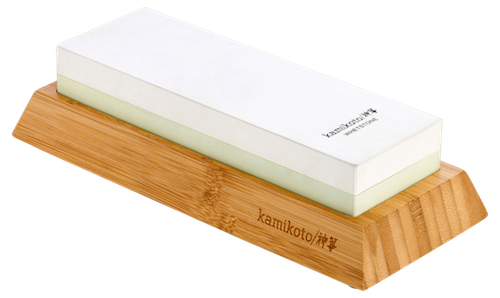 Finished and sharpened by hand, the Kamikoto 8.5-inch Slicing Knife is presented in a natural-colored ash wood box for safe storage and keeping.